OMAHA, Neb. (KMTV) — The going rate for a Super Bowl ad this year was $5 million for a 30-second spot. Advertising agencies spend months working on them to make sure they're perfect for game day. An agency in Omaha has their own unique tradition following the game. Every year, following the big game the staff at Bozell sits down, breaks out bowls of soup and has its own Super Bowl watch party. But instead of watching the game, the staff watches the commercials. 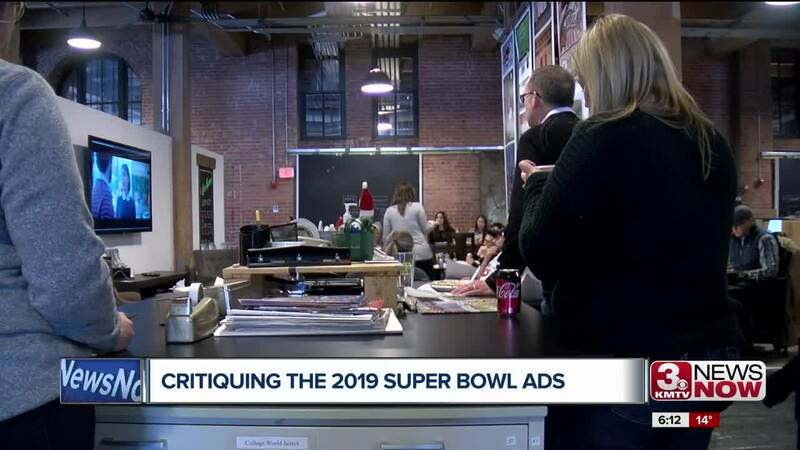 "It's the ad bowl," said Bozell CEO Kim Mickelsen. "It's that water cooler moment, that shared thing. We all saw it and we all talk about it. There are not that many live things anymore at a specific time that we all share but the Super Bowl is one of them." "It's what you do," said David Moore, a senior account planner at Bozell. "When you're in this industry you say that was good, that was bad, I could've done better." When designing a commercial Mickelsen believes there are two key components for a strong advertisement. "Breakthrough and relevance," Mickelsen said. "Those are two key components of any advertisement. Breakthrough is does it stand out. Relevance is who are you talking to as an audience, what are you trying to accomplish. If you can find the two that work together, breaking through in a relevant way, it can be magic." Overall, the experts say it was a down year for the commercials. "There really wasn't that much in the way of standout ideas or concepts like there has been historically," said Mickelsen. "I don't think there was anything we'll remember in a week," siad Moore. One commercial that popped out to the critics was the Andy Warhol Burger King ad. "It was relevant, it was real, it wasn't fictional, I really like that," said Mickelsen. "It was so unusual, so focused on a product and you watched a guy eat a hamburger," said Moore. With a $5 million dollar price tag for 30 seconds, you have to wonder if the company's get bang for their buck. "It depends on what you're trying to do," said Mickelsen. "Not always is it about sales. Sometimes it's about PR." "Some of the spots that we saw on Sunday have the potential to drive sales, others are going to be forgotten," Moore said. The staff at Bozell voted and the favorite commercial was the NFL "100 Years" spot.